The definitive enterprise platforms for managing and measuring events. Software to manage every part of an event, from planning through follow-up. Used by event marketing professionals for planning, registration, onsite management, and follow-up at each event. Typically used to manage conferences and other large single proprietary events. Used by large organizations to track all events on a central calendar. Enables collaboration across teams and visibilty into operations of event marketing departments, to better execute event marketing strategy. Software and hardware combinations created specifically for automotive manufacturers. Emphasis on Ride & Drives and lead capture, with other interactive experiential technology to boost consumer engagement. 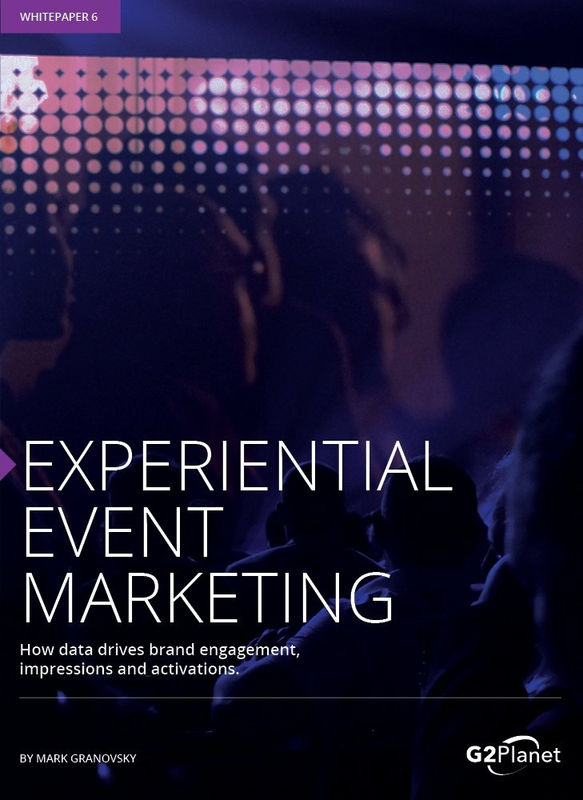 Whitepaper: Experiential Event Marketing for the Enterprise. Written for both marketing and IT, our new whitepaper shows how to increase brand impressions through smart algorithms, increase brand engagement through diverse yet integrated tactics and optimize your metrics for the complete event experience. Includes FREE planning tool. We build responsive and personal relationships with all of our clients. I am continually impressed with G2Planet's outstanding products and customer service! Many thanks to you and your team for all of their hard work! With G2Planet's MyEvent microsite, Citrix Synergy attendees could manage their time so they met their event attendance goals and had a positive experience!